To achieve this, I’ve done what I like doing which is to break things down into simple formulas that anyone can follow and achieve success. Go in curious, not selling. You don’t know if you want the role yet or if it is the best match for you. Know what you want to learn from the other party and know what you want them to learn about you. 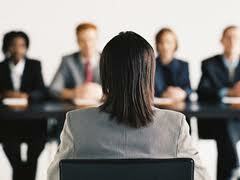 Don’t assume that anyone will be a good interviewer. Be prepared to collaboratively lead the interview to get the information you will need to make a decision to continue in the process or not. Know who you are talking to, find common ground, and create a relationship and let the conversation start from there. Write down some questions that are provocative and conversational that allow you to shine. Substantiate everything you say with tangible results you have achieved previously and connect the dots between your achievements and what the role requires. Listen to what is said, not to what you want to hear. These things may seem like common sense, but you know what they say about common sense….not so common! Copyright 2014, Sheila Madden, Madden Coaching & Consulting. All Rights Reserved. Sheila Madden is an Executive and Career Coach and an Organization Effectiveness Consultant. She works with individual contributors and leaders at all stages of their careers to maximize performance, impact and happiness. Thanks Pam. So glad you found it helpful and thank you for passing it along!